With a passion for food, wine and good company Waratah Hills is a welcoming vineyard that is located on the road to Wilson Prom, in South Gippsland, Victoria. 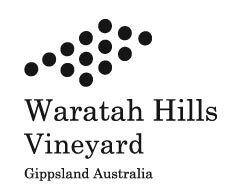 Waratah Hills Vineyard was planted 15 years ago with Pinot Noir, Chardonnay and Merlot varieties in the Burgundy style of low trellising and close planting. Today with a hands on approach to vineyard management (from picking through to pruning), minimal intervention and traditional wine making techniques, Waratah Hills Vineyard is a labour of love that is producing beautiful wine.